This is a real life-size two headed black and white calf mount cow in great condition with some light fur around the heads and body due to age and exposure to sun and light. The mount measures 40” long from the tip of the nose on the longer head to the back tail and 35” high from bottom of hoofs to top of ears and 39” high from bottom of wheels on the base to top of ears. A superior mount by a professional taxidermist. 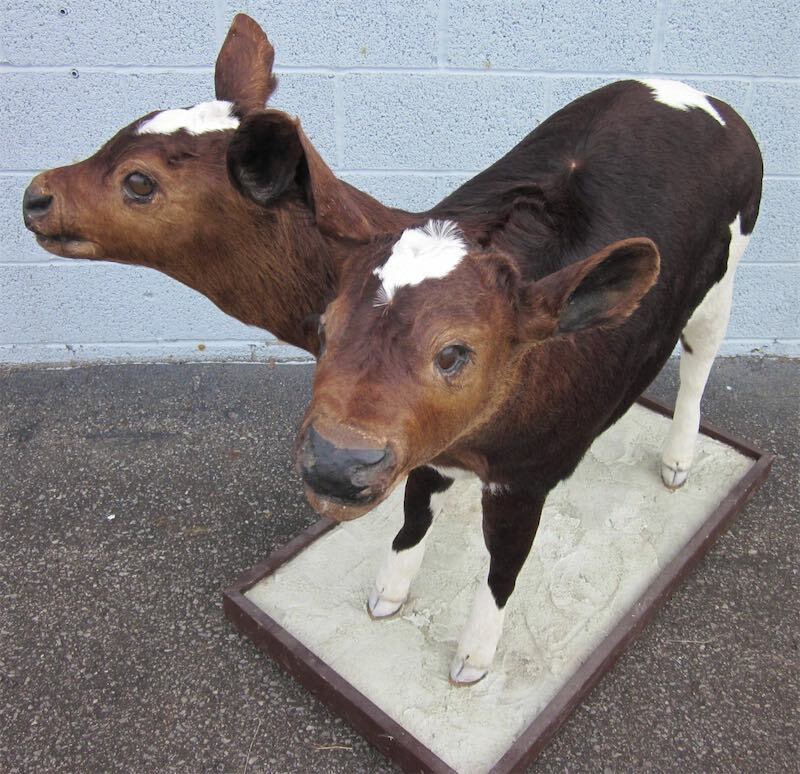 Genuine oddity taxidermy mounts like “Mike & Ike – they look alike” are exceptionally rare. This unique mount is a full size black and white calf with fully developed heads and complete facial characteristics along with it’s long necks is an extreme rarity in two headed calves. The mount was purchased by “The Museum of Lost Arts” at a farm estate auction many years ago in Ellwood City, PA where the calf was born. The provenance (history and origin) and physical attributes to support the fact that it is entirely genuine and this coupled with the strong market for well executed oddities in taxidermy, makes it especially desirable and rare.